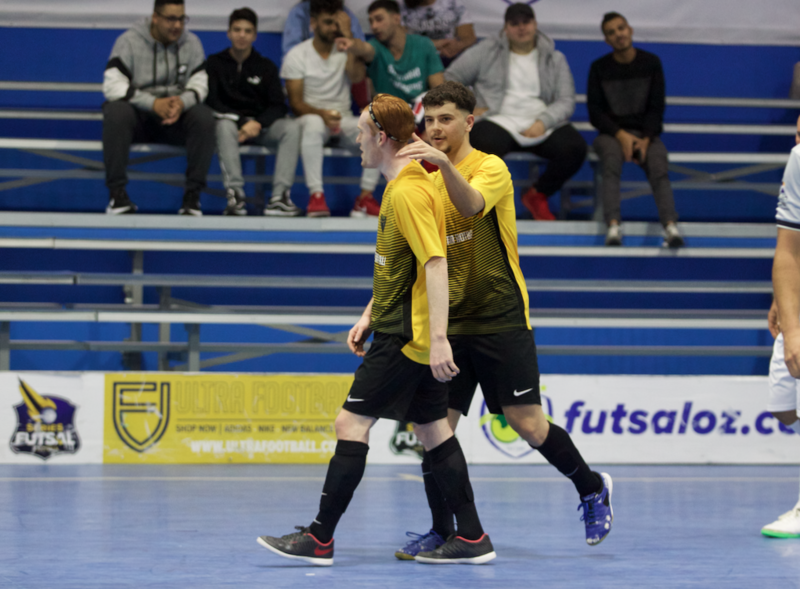 Our first game of the night saw Brunswick who were desperate for a win, take on Pascoe Vale who were chasing the title. With the season still young, every game was crucial, and this one started better for the Lions as former Brunswick man Alejandro Manuel Gomez found the net early on his left foot, giving his side the lead. The margin was doubled when Andre Caro rifled his effort into the bottom corner to give his side a two goal lead, and when Arturo Garzon Diaz made a fantastic run without the ball and finished it off, his side were three up and in a commanding position. Before the break youngster Sinan Gluhak teed up Mauricio Novak who made no mistake as he put away the Lions fourth to have them in a good position at the break. Brunswick had a couple of chance early on in the second half, but were denied time and time again by the ever brilliant Felipe Bley to keep them at bay. It was five when Garzon turned provider for Novak who scored in similar fashion to his opener to all but kill off the win, and when Alisson Lima Da Rosa rounded up Szabo late in the piece, it was game set and match Pascoe as they continue their fine start to the season. 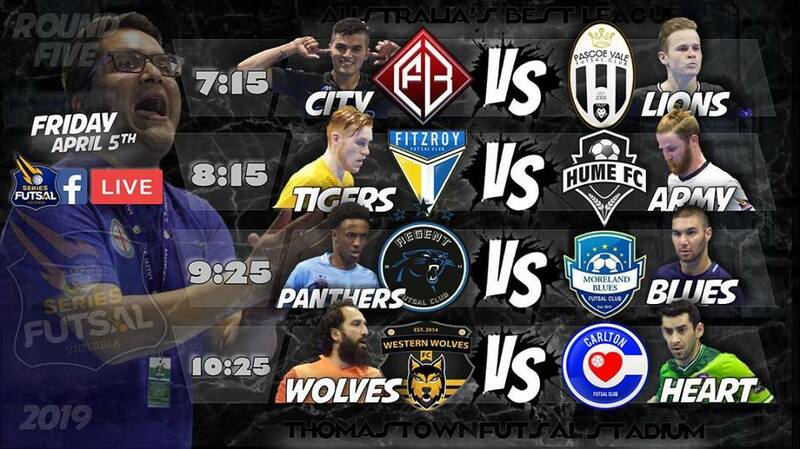 Second up saw the Champions Fitzroy, take on a struggling Hume side who could have done with an upset victory. It didn’t get off to the brightest start for the Army as Fitzroy opened the scoring through Cosimo Russo, who gave his side a deserved lead, and when Russo netted for a second time soon after, the Tigers had a two goal advantage and looked to go on with it. 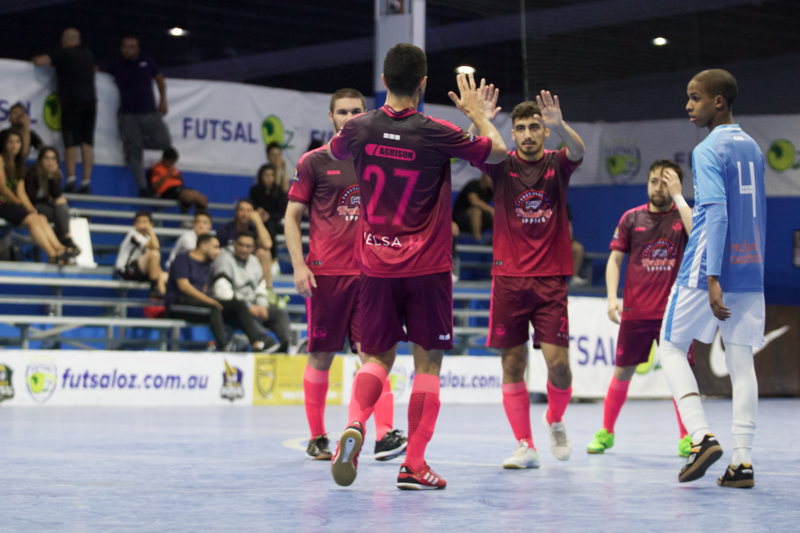 Hume pulled a goal back through an own goal from Elias Parthimos to remain in the contest, but before the break Cosimo Russo got himself a hat trick to guide his side into the break with a handy two goal advantage. The second half was all Fitzroy as the Tigers flexed their muscle with an eight goal to one second half, seeing Russo end the game with a game high five goals, supportted by braces to Elias Parthimos & Ben Monteleone, while singles to Scott Rogan and Fernando De Moraes ensured Fitzroy would extend their unbeaten run to five games as they sit in a good position early in the season. Next up was the game of the night on paper as newly promoted Regent City took on league leaders Moreland. 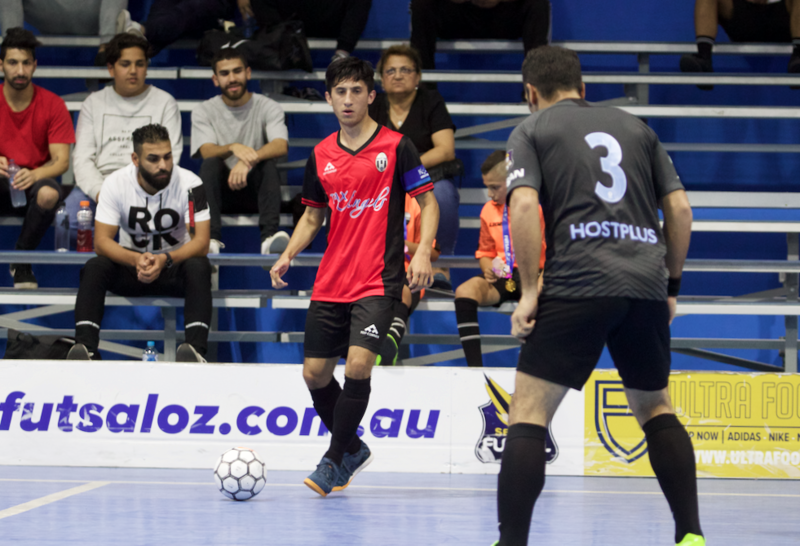 In what was expected to be a tight contest, it was anything but early on as Moreland raced to a 2-0 lead thanks to goals from Muhamemd Temel & Ruz Roslan, putting them in a commanding position. Taner Korkmaz then netted to make it two goals in two games for the Moreland captain, as the Blues held a handy 3-0 lead at the break. The second half followed the trend of the first as it was all Moreland with Temel getting himself another two goals to complete his hat trick, while Atay Ibrahim got himself a brace, and Lucas Vaz a single to help them run out with a big win over a very good Regent City side as the Blues stamp their authority on the league. 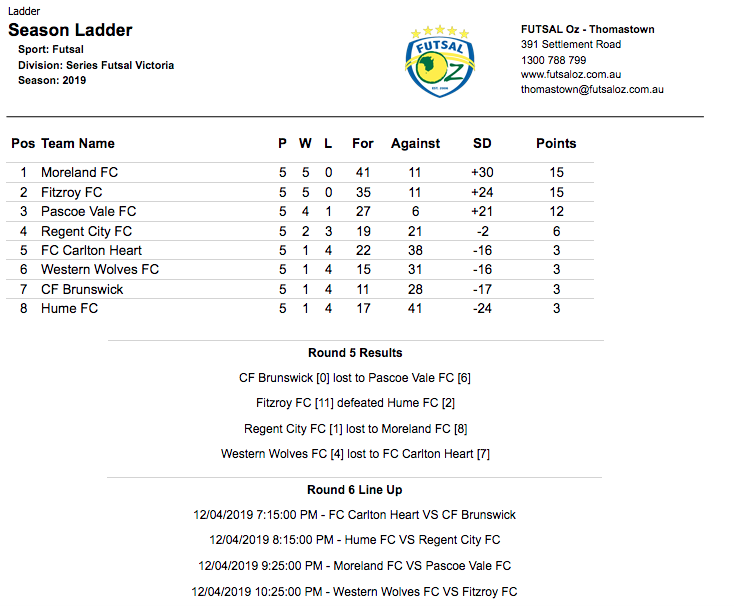 The final game of the night saw two relegation threatened sides go head to head as the Wolves took on Carlton in what was a must win game for both. Early on it was Carlton who broke the deadlock as Chaaban Rajab played in Ernie Simsek who converted at the back post to give his side the lead. Rajab then doubled the sides advantage soon after as Carlton were off to a flier. The Wolves pulled a goal back through Melvin Becket to halve the deficit and were level when Jonathan Barrientos found the net from range to bring the Wolves level. Carlton’s lead was restored when Becket turned the ball into his own net, but when Rodrigo De Faria struck before the break it ensured we would go into the break level at three. 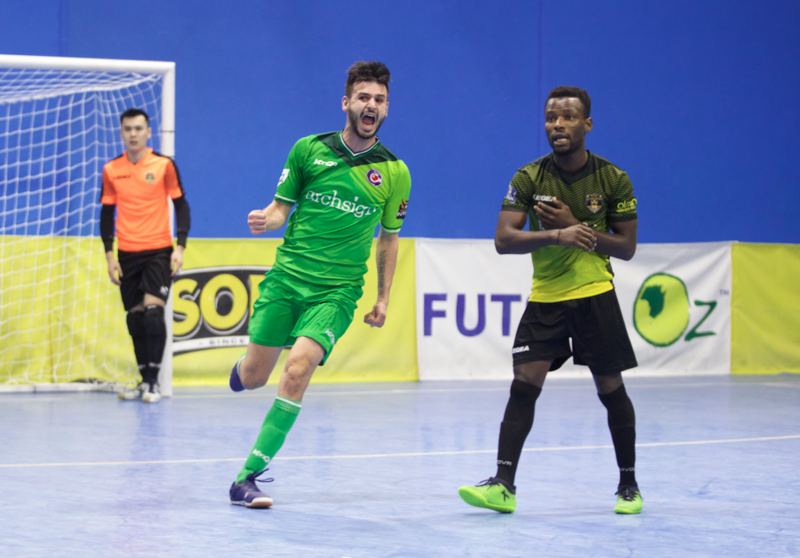 After a bit of an arm wrestle to begin the second half, the Wolves regained their advantage Becket got his second of the game to put his side in the lead for the first time, but a stunning strike from Chaaban Rajab saw the Heart captain pull his side level again. Carlton were ahead when youngster Connor Irwin beat three players and netted, and when De Faria turned a ball into his own net, it looked as if the points were sealed. a late header from Rajab put some polish on the result as Carlton got their first win of the season, and a much needed win at that.